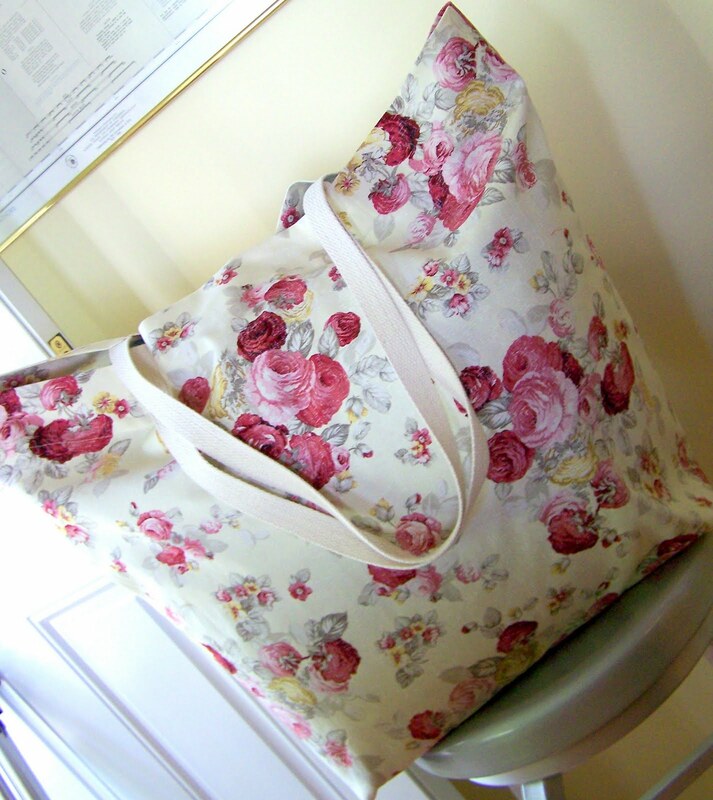 I am thrilled that Liz from Living My Sweet Life used my tutorial to make her own Oversized Beach Tote. I think she did a fantastic job and am so happy she shared it with me! What a treat to see my bag on your blog! I plan on making another in boy colors for my sons!! Thank You! Love that yellow and teal fabric! Both bags are very cute!!! ooo, nice job. I love that rose fabric! I saw your oversized totes were on Totally Tutorials the other day. Congrats! I saw you on Totally Tutorials too and since you’re a fellow PEAR buddy I thought I’d say hi and way to go! I got my tute on TT also! I’m very proud of it too. BUt i think I’m going to pass your tute for that big bag on to my mom. She wants to make a nice bag like that and I think it’s perfect! Thanks for sharing!